This show I will be discussing solar ovens and the uses. How can you build one yourself? And a few pre-made ones you can buy. What are the advantages and drawbacks to such a device? The need for food is unquestionable. When we do not have a stove we can turn on at the flick of a switch we have to find a way to cook. Like our ancestors did before us they found a way, luckily today we have the technology to make those tasks a bit easier. 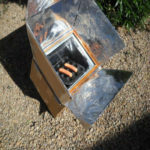 There are a few ways to use a solar oven and a few key times to use them during the day and throughout the year. Some days might be better than others to use the ovens, cloudy days obviously are not ideal for using this technology but I have a few tricks that may help with that. The need to keep it bug free and away from any other creatures is ideal, so placement is also a must. I go over where and how you should mount the ovens. Ovens have been used in many configurations whether it be fire, an accelerant, or electrical but if shtf happens then we may not have access to some of these. Solar may be the logical way to go. We will look at the various types of ovens that are out there and what would work best for you. How you can enhance the cooking time with ways you might not have thought of before. Cook time is the biggest problem with these ovens so if you plan on using one do not get into a hurry and plan way ahead of when you want to eat. 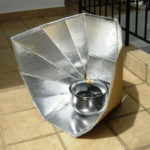 They are not quite as efficient as fire or gas; after all you are using the sun to cook. 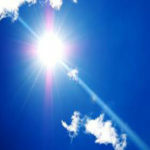 But to harness the power of the sun is one of the best renewable resources we can use as preppers. As always please enjoy the show and if you have any questions let me know! Listen to this broadcast or download “Let’s Cook with the Sun” in player below! Previous: Previous post: Women in Preparedness!